The Valve80: sonically, this should be a cut above many of its rivals. 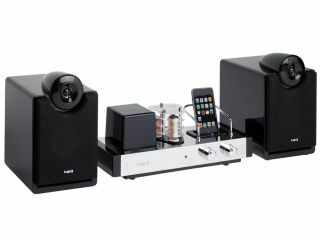 The prospect of yet another iPod speaker system hitting the market is unlikely to get your pulse racing, but Logic3's new model sets itself apart from the majority of its rivals by featuring a valve amplifier. The amp itself has a retro hi-fi look: your iPod nestles in a cradle on the top which sits next to the exposed valves. The bookshelf speakers, meanwhile, are finished in 'piano black'. Sonically, the Valve80 is designed to add a bit of warmth to your music and outputs 40W per channel. There are additional audio inputs for plugging in other devices, while Composite and S-Video connections enable you to output your iPod's visuals. A remote control is included, too: this can be used to change settings and navigate your Apple music player. The Valve80 costs £299 and will be released in December.